The TV & Radio industry is fast paced, spontaneous and you are always on the go! I have always been driven by the thrill of chasing a top story, travelling to a cool destination, or reporting from a glamorous red carpet event. Juggling many things at once was not foreign to me, but NOTHING could have prepared me for the many hats we MOMS wear as parents. 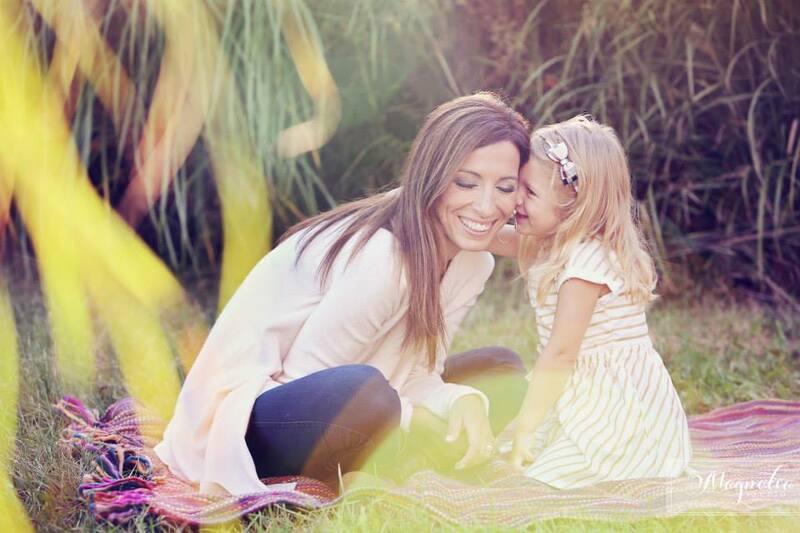 By far, being a MOM is the best job I have…but it’s also been the hardest AND most fulfilling! My daughter has taught me to appreciate the simple things in life & to slow down and enjoy the precious moments that really matter. If you know any please share. (lol) Hugs & kisses really do make everything all better. Ambition…but since my daughter was born it has been EVERYTHING seen through her eyes. It’s amazing! On the weekend she’s an early riser. She rushes to the window and says “mama look how beautiful the purple sky is!” I never stopped to admire the beauty of an early morning sunrise until she was born. You need to follow your instincts and do what works best for you & your child. There is no right or wrong way. All the books in the world can provide guidelines, but you need to go with what feels right for you & your child. Create your own rhythm and go with the flow of things. The only right way is the one the makes you and you baby feel comfort. I was pregnant and loved listening to Bruno Mars “Just The Way You Are”. Every time the song would play I would sing a long. At that moment, I had a feeling I was carrying a girl. When she was born the only song that would soothe her, or make her fall asleep was by Bruno Mars. It was on repeat for a while in our home. Bonds made between parent & child are blessings. Make sure to treasure those moments between mom & baby. Oh boy… where do I begin? I remember being a couple of weeks pregnant and I was on my way to interview Celine Dion in Miami. At the airport I got a huge rush or nausea, became light headed and fainted! I remember sitting at the airport talking to my tummy “please not today…mommy can’t feel sick she has to interview Celine Dion!” (lol) I endured 4 months of morning sickness…but she’s all worth it! There is only one Wonder Woman and she is a superhero with magical powers! As a first time mom, we all try and be this superwoman who needs to excel at being the best mom, wife, and career woman. We set the bar high and put such pressure on ourselves. Why are we so hard on ourselves? Spouse/partner/family/friends are eager to lend a helping hand. It’s okay to ask for help. Take them up on the offer and take a little time for yourself. Yes, but it is so hard to make it happen. Sometimes we are so wrapped up in making everyone else happy and ignore ourselves. Learn how to except the things you cannot change. This last year, my mother & especially my two beautiful nieces. Whenever I need a babysitter they are always available & my nieces are always eager to watch my daughter. They have a great time and it gives me peace of mind. You can be whatever & whoever you want to be as long as you follow your passion and be true to yourself. Find something you love and follow your dreams! Dreams are what make us strive, they are what inspire us, makes us creative, happy and give us reason to move forward. Don’t let anyone ever rob you of them. They are yours to keep. Be true to yourself and always treat others the way you want to be treated. 1. First family portrait. Such a loving and tender moment captured. So much love surrounds the picture. 2. My Pandora bracelet w/ my little girl charm & birthstone. Want to build a story with charms and pass it on to her one day. 3. My M0851 leather bag. I used it as a diaper bag and still use it as her travel bag. 5. My iPad. The children’s apps are great entertainment and a distraction when taking long trips. 6. Baby wipes! Why did we ever stop using these? Carry them with me everywhere. 7. Jane Iredale BB primer, moisturizer, & mascara. Makes my face happy! 8. And of course a glass of Barolo or Cabernet Sauvignon Wine!